Jeez, a week sure can creep up on you in an instant! Predictably, I’ve started quilting my usual straight-line formation. (It’s easy and I’m lazy!) I’ve opted for a pattern quite similar to the way I quilted my Jacob’s Ladder Quilt, but on this one the quilty lines are a lot closer creating more of an intense surface design and texture. To go along with this R.F Quilt, I’ve filmed and uploaded a very simple and informative tutorial on how to make the Rail Fence Block. I tried to make it as down-to-earth and helpful as possible especially for all you beginner quilters out there. Let me know what you think of the video – I’m 100% open to any positive constructive criticism. I would love to know what I could to do improve my teaching skills and/or production/filming/editing skills. 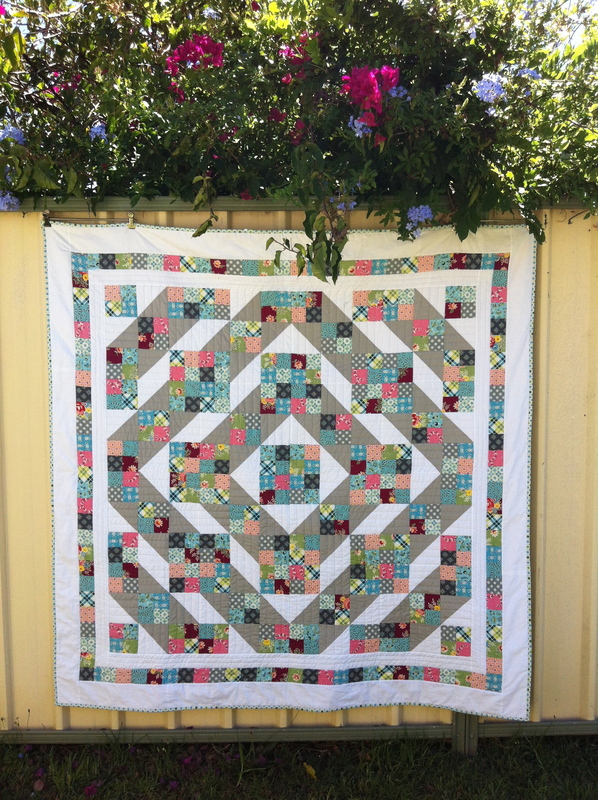 Do you have any suggestions for quilt blocks that you would love to see me demonstrate? Comment below and I’ll definitely take your ideas onboard! Well, it’s now time to go and enjoy this glorious summer afternoon with a lovely icy-cold beverage, finger-licking snacks and a heart-warming rom-com! Your videos are just so cute and funny! The outtakes are the best! I’m glad I’m not the only one with finishing up my Craftsy 2012 quilt too. Whew. Have a great day. Cheers! Thanks! I’m glad you enjoyed watching! The bloopers are my favourite too – I make so many! Hopefully we can both get our Craftsy BOM Quilts finished this year! Good luck! Great job on your rail fence tutorial. I’ve been quilting for years and wish I’d had it when I started. The filming and instruction is very good. I will be sharing it with my “new to quilting” friends. 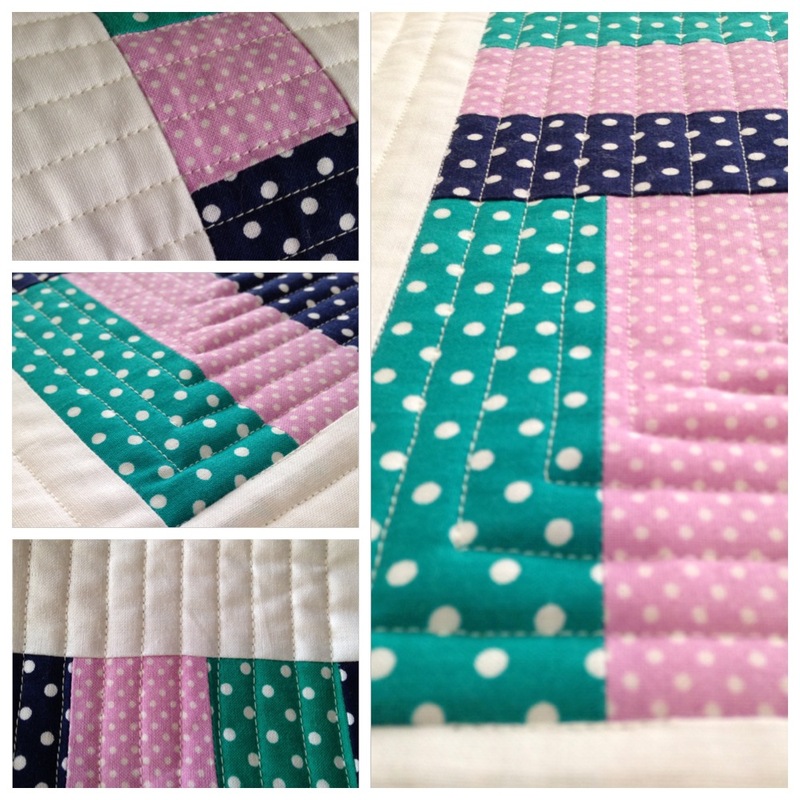 I am working on my quilting goals for 2014, and look forward to Monday morning when your blog arrives in my email box. Thank you for your lovely feedback as well as for sharing the tutorial with your friends – very exciting! !